Why you need to LED Candle Bulb? 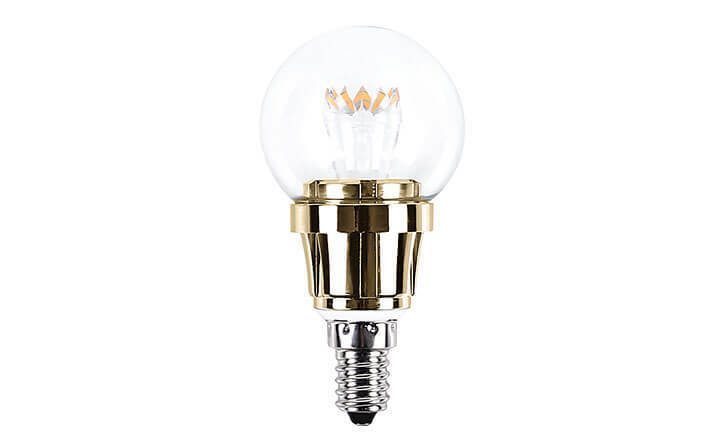 You can hardly notice that your traditional bulbs have been replaced by this 3W LED Candle Bulb. It is halogen-like warm white color lighting with 280Lm outputs. 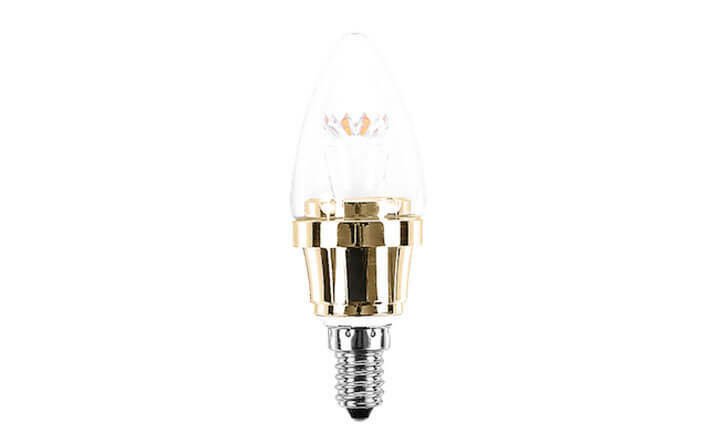 As a perfect replacement for 20W-30W traditional incandescent candelabra, this LED candle light consumes only 20% or even fewer energy, while providing a soft white decorative lighting effective. 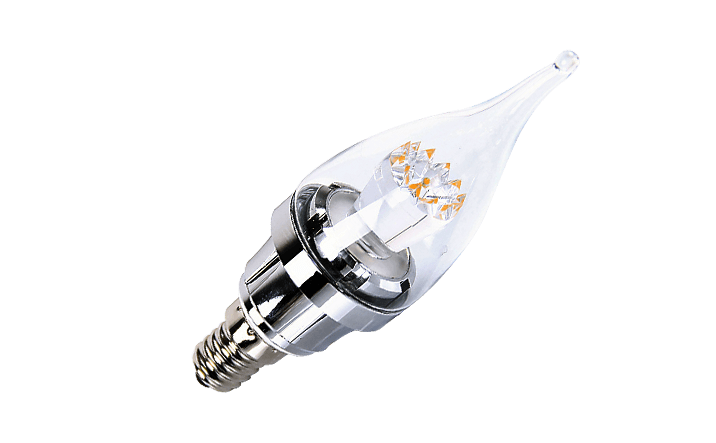 Special 360 omni-directional bulb with clear glass will make your Chandelier sparkling in all directions. What is our LED Candle Bulbs feature? LEDs also do not emit nearly as much heat as incandescent light Bulb. LED light candle bulbs are long lasting and extremely rugged. Here our led chandelier bulbs also can change glass cover for globe G50 model for different application. The brightness level perfectly matches the incandescent it replaces. The shape of the glass is a great match too.